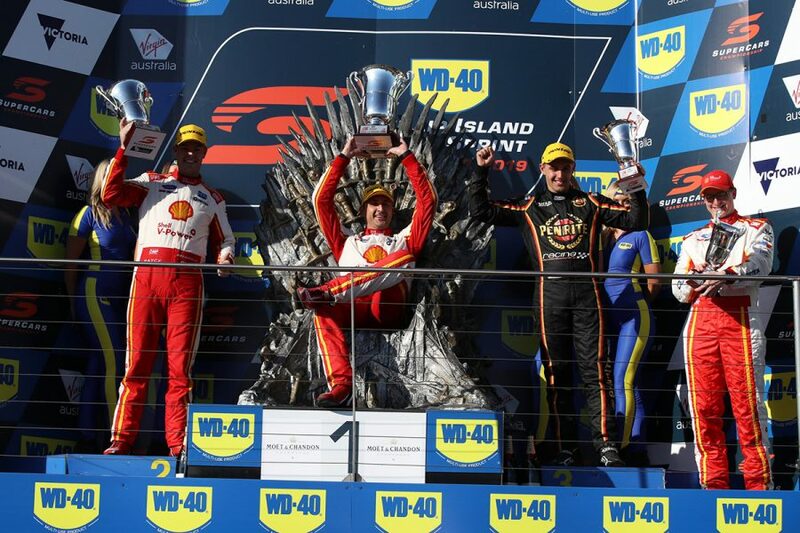 Coulthard’s last victory came at Winton last May, and he consolidates his position as McLaughlin’s closest challenger in the championship. 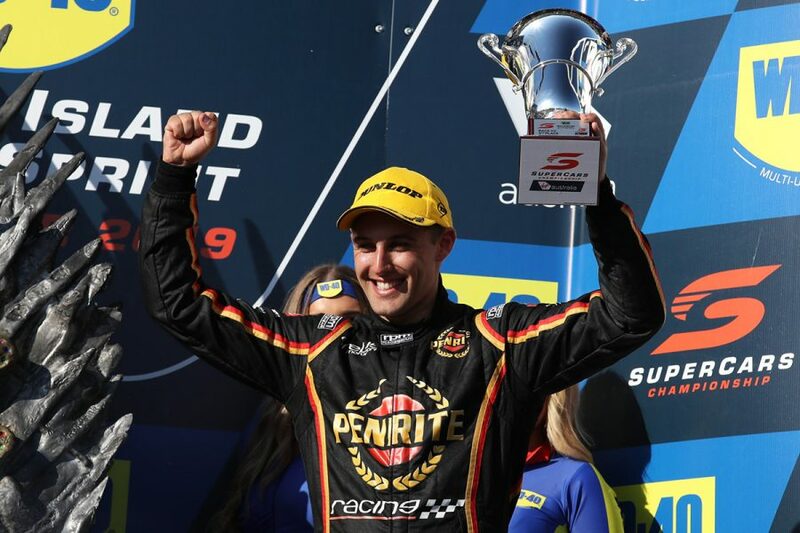 Penrite Racing’s Anton De Pasquale took an impressive third, 4.1903s adrift despite late concerns over fuel, the 23-year-old’s maiden Supercars podium. 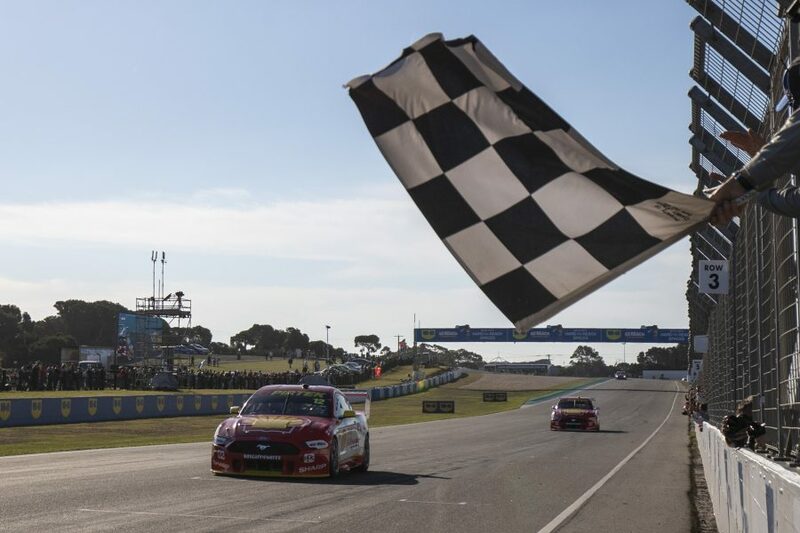 Chaz Mostert and Cameron Waters were running fifth and sixth but emerged effectively first and second, with Tickford short-filling both Mustangs and not changing tyres on Mostert’s. 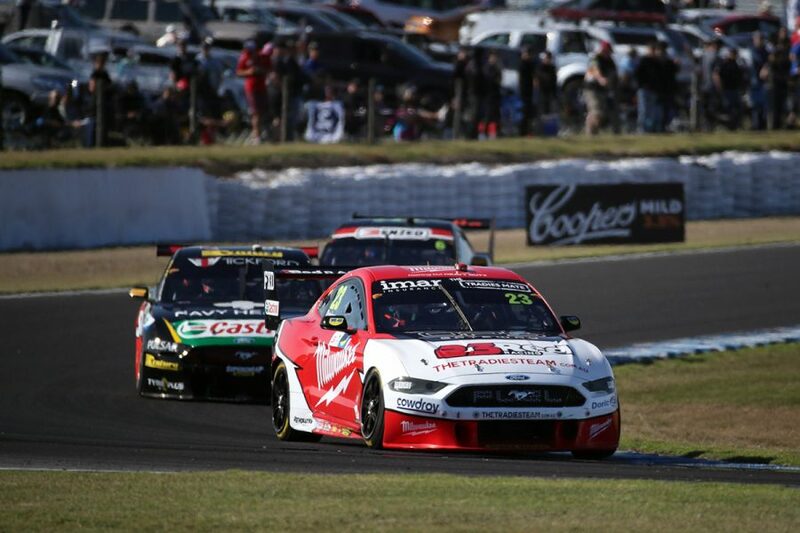 A maiden Supercars podium comes in De Pasquale’s 41st start, with his previous-best result a seventh. 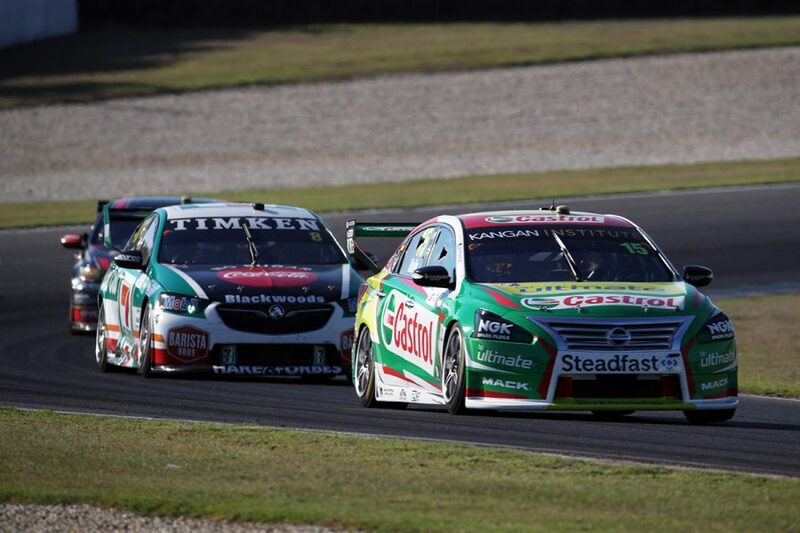 The Red Bull Holden Team’s troubled weekend finished with a quiet seventh for Shane van Gisbergen, 14s behind Coulthard, with Jamie Whincup 12th.